Yamaha’s latest entrant in the Indian market, the MT-15 is a naked roadster ready to dominate our streets. On sale in international markets for quite some time now, the MT-15 is well known for its looks and appearances. However, in India, Yamaha in order to keep costs low and have the lowest possible selling price, launched rather plain versions of the bike. Despite their best efforts, the price is not exactly low and for that amount of money, a rather plain looking motorcycle would not be what you are looking for. A Yamaha dealer in Bengaluru, however, has a nice alternative for customers. 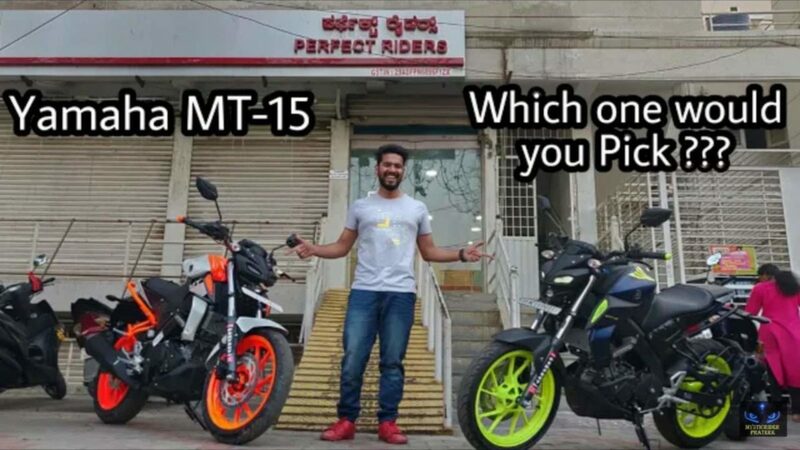 Are these the best looking MT-15s in the country? Have a look and decide for yourself. 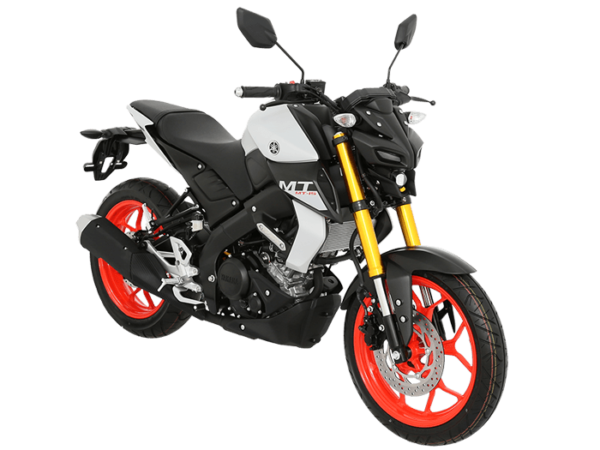 The MT-15 in this particular avatar gets a white paint scheme with orange highlights. The attractive orange painted wheels are an option we Indians missed during the launch in our country. Apart from the white and orange model, the same dealer also has another example finished in matte blue and fluorescent accents. The wheels, bar ends weights and shrouds get highlighted in the bright colour. These modifications at the dealership level come at an extra cost. The first example, finished in white and orange attracts an additional cost of on INR 22,000 while the example in matte blue costs INR 6,500 more. However, at this additional cost, the dealer registers the bike in the RTO with the new colour scheme so customers can miss out on a few trips to the RTO. The Yamaha MT-15, priced at INR 1.36 Lakh, ex-showroom, is essentially the naked variant of the popular YZF-R15 sports bike. It is powered by a 155 cc, liquid-cooled, SOHC engine. Equipped with Variable Valve Actuation technology, this motor generates 19.3 hp @ 10,000 rpm and 14.7 Nm of torque at 8,500 rpm. This power is sent to the rear wheel via a six-speed gearbox and also gets an assist and slipper clutch. The motorcycle uses a conventional telescopic suspension in the front and a monoshock at the rear. Anchorage duties are taken care of by a 282 mm disc in the front and a 220 mm unit at the rear governed by a single channel ABS unit. Linked below is a video showcasing the dealer modified MT-15, uploaded by YouTube channel MysticRider Prateek do have a look.